I seem to have lost interest in graphic novels aimed at adults. 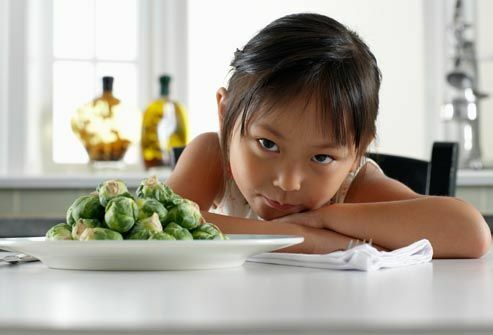 Since becoming a parent, I have little tolerance for the violence and darker themes that fill many adult graphic novels and comic books. My son loves graphic novels, too, and so I often retreat to the living room after he's gone to sleep to finish the books we started at bedtime. 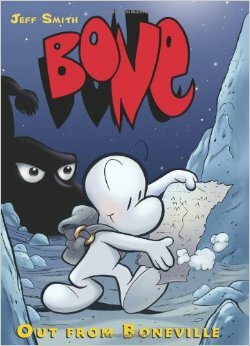 I read Jeff Smith's Bone series well before my son and I made it through to Book 9 together and I've discovered a few gems that he disdainfully rejected on sight, like a steaming plate of brussel sprouts. 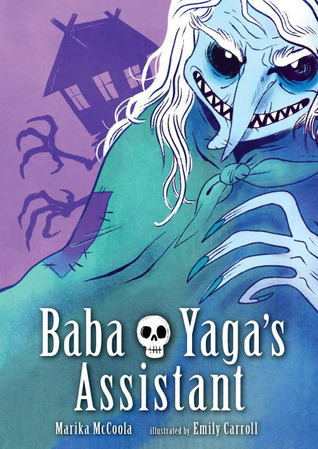 One of these is The Baba Yaga's Assistant by Marika McCoola and Emily Carroll. This graphic novel offers a satisfying twist on the popular bogey woman from Slavic folklore. I particularly enjoyed the author's sympathetic portrayal of the witch and the invention of a clever and independent young female protagonist who is determined to win over Baba Yaga. I had more success with Fable Comics. 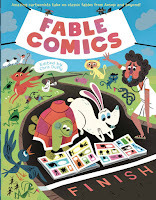 Fable Comics contains a diverse collection of familiar fables like "The Tortoise and the Hare" and "The Boy Who Cried Wolf" reimagined by such heavyweights as Jaime Hernandez and James Kochalka. 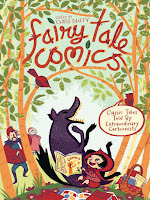 Chris Duffy edited this and two other books in a series that illustrates popular children's stories, including Fairy Tale Comics and Nursery Rhyme Comics. We devoured all three. 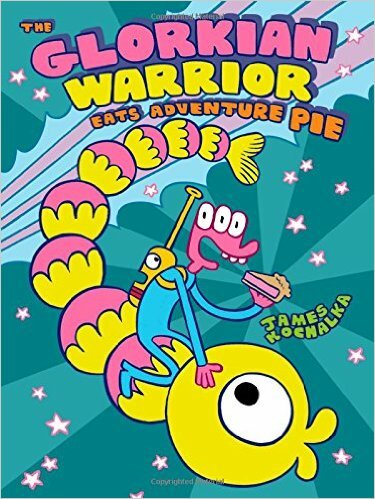 Kiddo thought Kochalka's The Glorkian Warrior Eats Adventure Pie was hysterical. So much so that I had to switch it out for a more sedate graphic novel to ease him into bedtime mode. We'll come back to that one. 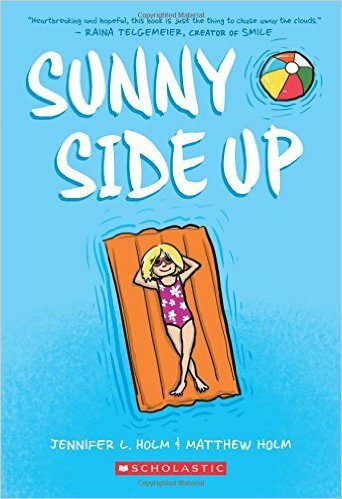 I brought home Sunny Side Up by Jennifer and Matthew Holm just for myself. 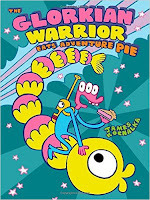 The book appealed to me for its 1970s nostalgia - not a common theme in kids' graphic novels - as did the story line of a child caught in the middle of a family's struggle with an older brother's substance abuse. In spite of this, it's a generally light-hearted and reflective summer vacation story that will appeal to older kids and grown-ups alike. 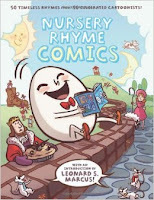 You can find even more kids' graphic novels from 2015 on the "What's New" list published to our Discover catalogue.